GO! Store that features many handmade art items and gifts. CAFEPRESS an on-line strategic partnership which is a customized store for gifts and specialty items with ASD student graphic arts. EPIC ARTS which creates gift baskets of Extra Virgin non-filtered Organic Olive Oil and a beautiful reserve Opolo Zinfandel Wine (courtesy and strategic partnership of the Belli Familia and Belli Vineyard). These MICROENTERPRISE projects promote social enterprise, social entrepreneurship and social inclusion for people with intellectual and developmental disabilities, and the community with plans to expand and develop these projects in the future to include many more artists and strategic community partnerships. 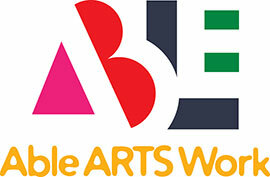 Therefore based on this business model of Social enterprise, Arts and Services for Disabled, Inc. is not about charity, it is about building institutions, creating change and community. It is about envisioning lives for our students with disabilities through the creative arts-this is a new and exciting focus on nonprofit fundraising fundable programs that will assist our students to lead more productive lives.